This website focuses on South Africans looking to apply for the UK’s Tier 4 visa in order to further their tertiary qualifications. Please note that the UKVI have also made provisions for Primary and Secondary schooling. The key in submitting a successful visa application is first determining which UK institution South Africans would like to pursue. Thereafter to gain acceptance from the UK institution in the form of a certificate number. If you are not looking to study full time in the UK or only looking to engage in a course or two, please take a look at our “Study In the UK” page. The Tier 4 category of UK visas gives South Africans permission to further their studies in the UK. Replacing the old Student visa, the Tier 4 visa has employment and time restrictions and operates under a point based basis. 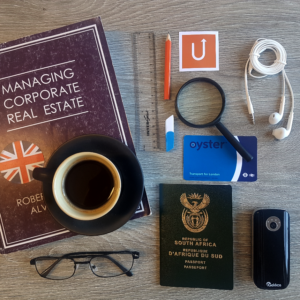 To qualify for the visa, South Africans have to gain acceptance from desired UK based institutions and thereafter evidence their ability to financially accommodate themselves as well as their ability to speak English. These 3 qualifying factors (namely acceptance of studies, proof of supporting funds and English ability recognition) grant “points” needed to qualify for the visa. The most common area of refusal in these applications is the supporting funds, known as “Maintenance Requirement”. Should you wish to find out more about the Tier 4 visa or would like to engage in Move Up’s representation, contact us now. Common question asked by our clients, especially given that the gap year visa (Working Holiday Maker) has been closed. With the implementation of the Point Based Visa system in November 2008, the British government implemented a visa system that is meant to “attract” the right type of foreigners. With this point based structure, the British government can better channel incoming work force to designated areas where labour force is needed. This Student visa route (the Tier 4 General) has been designed to cater for full time students looking to obtain recognizable qualifications abroad. Taking this into consideration, there is a 20 hour per week work restriction. This is subject to committing to long term. What the British government has not promoted, is that spouse dependents of Tier 4 applicants, can freely work in the UK (subject to the student partner committing to a minimum 9-month course of longer). So if you are married and don’t have birth rights or foreign nationality, South Africans can consider having one partner study full time while the bread winner gains international work experience to cover living expenses. Food for thought.